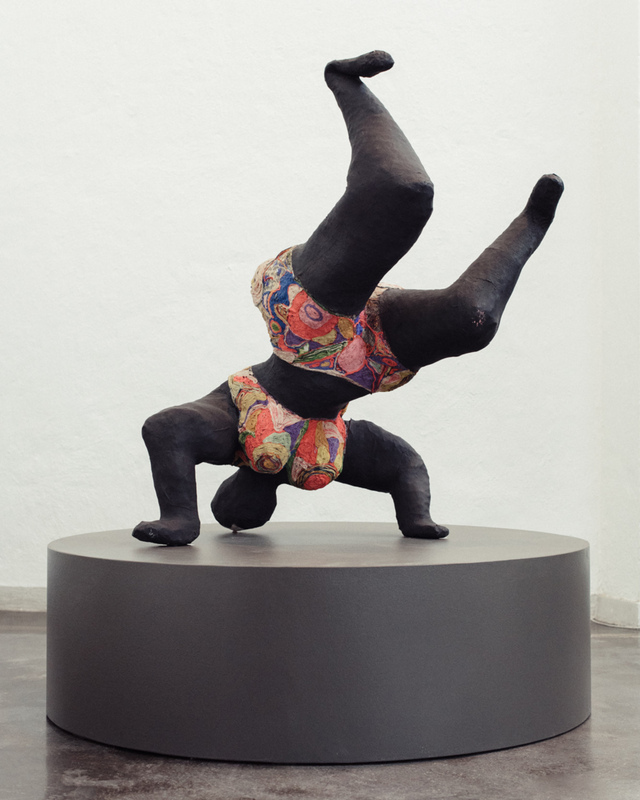 Niki de Saint Phalle: Nana Noire Upside-down (1965–1966). 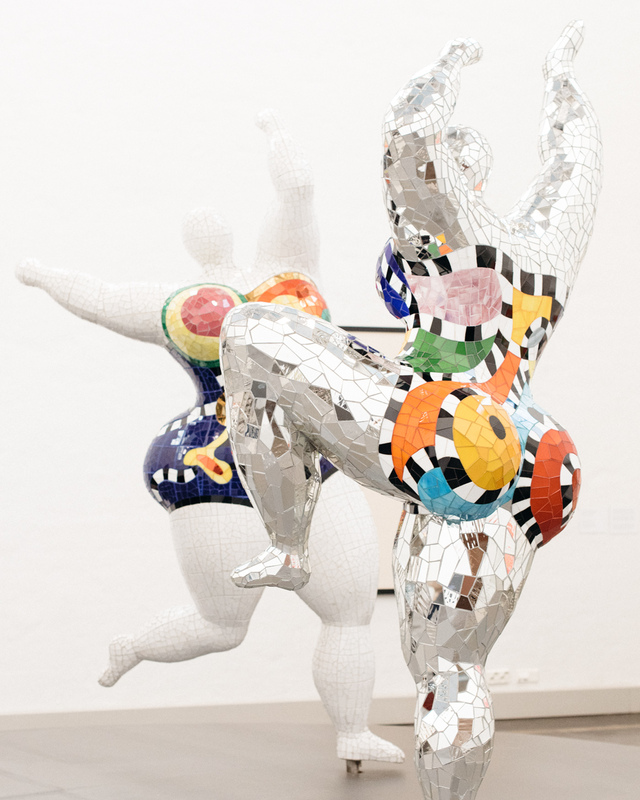 Niki de Saint Phalle: Les trois grâces (1995-2003). 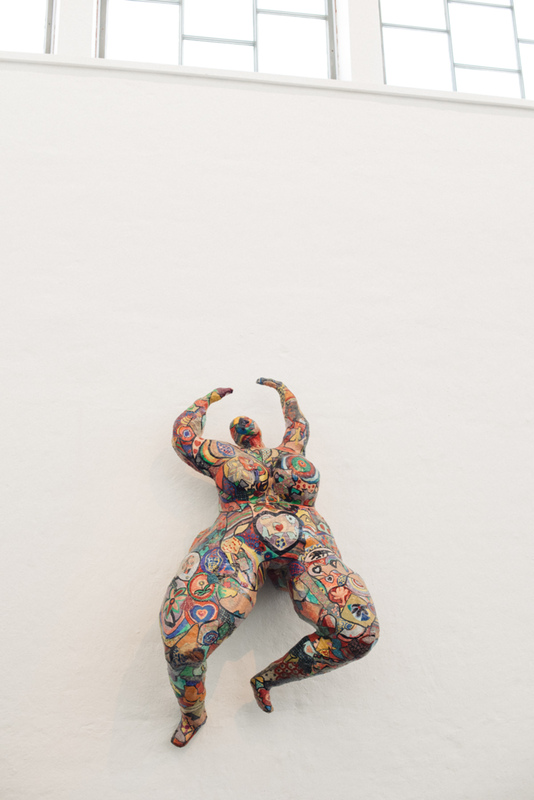 Lili ou Tony, 1965, is one of the first Nanas by Niki de Saint Phalle. All three images are taken in Taidehalli, Helsinki, August 2016. Treasuring the simple, everyday things is very much in fashion. But do we? Sometimes it seems we are more into sharing our lives on social media in order to receive likes and wows, than sharing a moment with the people we are dining with, or going to an event with, or whatever it is that we are posting about. The challenge of the everyday life is that we get used to it. We get so used to the things that are going well – the high standard of living and all the luxuries we get to enjoy – that it is hard for us to understand their value anymore. We take people and things for granted, that is, as long as we have those people and things in our lives. To keep the small stuff interesting, we have to learn to keep ourselves awake. Notice. Feel. Pay attention to all those tiny things that serve and support us every day. They may be ordinary but the more you pay attention, the more miraculous they begin to seem. If feels silly to talk about how amazing it is that the sun rises every day. And still, the more you think about it, the more amazing it is. When we let our mind get cluttered and the numbness builds up, we lose the sensation of being alive. Whereas, with a clear and focused mind, often simply getting out of the house and breathing in, or lifting our head from the paper and seeing our loved one on the other side of the breakfast table, is big enough to evoke a feeling appreciation. There is a time and place for shaking up the everyday by doing the most ordinary things differently – taking a different route home or trying a new grocery store. This is the most effective, empowering and long-lasting way to be happy. The only way actually. When the conditions do not have to change so that you can see how great your life is and what a wonderful human being you are, that is when everything changes. That is when your feeling of happiness is unconditional. You own it. And even though you might lose it from time to time, you know how to get it back.